I often come up with new segments for my blog. Sunday Movie Review, for example, was a good idea that I promptly forgot about after the first post. Whoops! My record for keeping up with a weekly segment is probably two weeks, but this time I plan to stick with Friday Favourites. And don’t worry – rather than focusing on a topic like beauty products that only appeals to some of you, the topic will differ each week. Restaurants, music, awesome websites, travel, organizations I support…you name it! 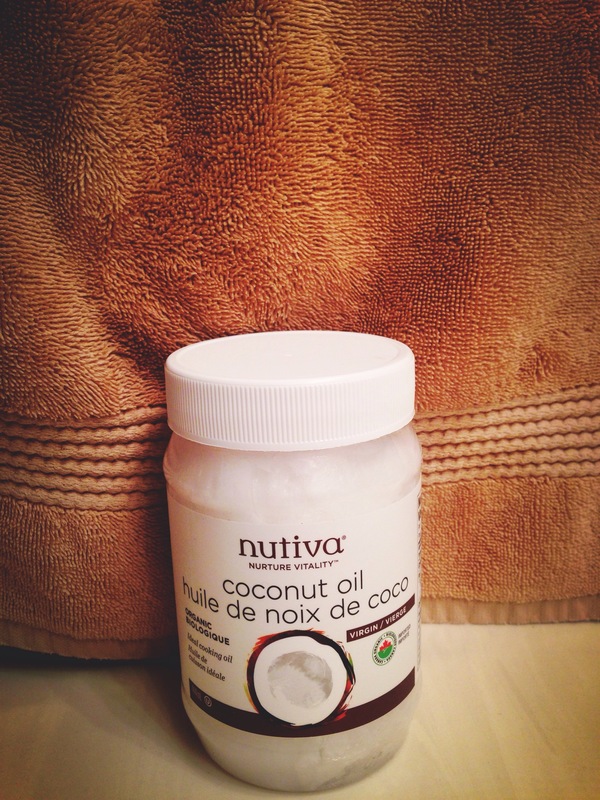 Let’s kick off this inaugural post with some info about today’s topic: coconut oil. I’m sure you’ve heard about it, tasted it, maybe even tried it on your skin or hair – but did you know that there are over 30 surprising uses for it? Natural face mask, body moisturizer, under-eye cream and smoothie-thickener are just a few of them, with face mask being my personal fave. I’m sitting in my living room, having just slathered a 1/2 teaspoon’s worth of it on my face, and you wouldn’t believe how relaxed and pampered I’m feeling right now. If you have a jar of coconut oil at home, go do it. Seriously! This stuff seeps deep into the skin and pulls out all the gunk that clogs our pores, leaving our faces softer, cleaner, more radiant, and smelling like a tropical paradise. 1. Rub a half-teaspoon of solid coconut oil between your fingers. Apply to clean, dry skin in gentle circular motions for about 15 seconds. 2. Leave on for 5-15 minutes, depending on how deep a clean you want. 4. Gently wipe off the remaining oil with the damp washcloth and pat dry with a clean towel. As I mentioned earlier, coconut oil has multiple amazing uses. Here are some you may not know about: body scrub (try mixing with sugar and olive oil), lip balm, face cleanser, frizz-fighter, split-end repair cream, body/foot lotion, cuticle oil, tooth whitener, shaving cream, makeup remover…the list goes on! It can also be used as a stimulating scalp massage oil to improve circulation and promote hair growth. It’s also great in curries or stir-fry! The Nutiva brand (above) that I bought was about $12 from Amazon.com, but it doesn’t really matter where you buy it from as long as it’s organic, virgin, cold-pressed oil. Give it a try and see what you think! Let me know in the comments if you love it as much as I do. 7-Day Yoga Challenge: Try It with Me! Starting off at 10 minutes per day is a great way to ease your body into the practice. You might get frustrated that you can’t bend a certain way or reach your toes, but if you do the same moves each day your body will eventually do what you want it to. I’ve listed several instructional videos below, some beginner and some intermediate, so that we can follow along with a proper yoga teacher. I suggest sticking with one video for the week and deepening and intensifying the poses each day. A couple of the videos are 20 minutes long, so feel free to either stop at the 10-minute mark or continue through the whole routine. On day one, before choosing your video, take note of how your mind and body feel. Are you stressed out? Anxious? Easily aggravated by the little things? Is there tension in your neck, shoulders and back? Ask yourself these same questions after seven days of yoga and you should be able to say “no” to each one! Because whether you choose to do this challenge for peace of mind, weight loss, or flexibility, you’ll achieve all three simultaneously. That’s the power of yoga, my friends…it’s truly wonderful for our well-being. Want to Live Longer? Here’s How! I heard something yesterday that I wanted to share with all of you. Someone on the radio was explaining why it’s important to stay fit and healthy; their reasoning was simply, “We only get one body.” That really made me stop and think. It’s such a simple statement, but those are words to live by if I’ve ever heard them! It made me realize that our futures are being determined by the way we’re treating our bodies right now, and I’m not just talking about what we eat. Not making time to exercise, combined with a lack of water and poor sleeping habits, doesn’t just result in obesity, grogginess and stress headaches. It can lead to serious health issues such as heart disease, type 2 diabetes and even cancer. We might say we’re too young or too busy to worry about these things, but think about it – when you retire, do you want to relax on a beach somewhere, healthy as a horse, or be confined to your house all day, unable to enjoy your golden years because of your many health problems? 1. Exercise more. You’ve heard this before, I know, but it’s more important than you realize. Did you know that just 2.5 hours of exercise per week can reduce your risk of an early death by 15%?! That’s no joke! And the great news is that getting the required amount of exercise isn’t as hard as you think it is. Taking the stairs instead of the elevator, parking a few minutes away from your school or office and taking a stroll around your neighbourhood are simple ways to get the half hour of exercise that’s recommended per day. Cardio and weight training are the simplest ways to slim down and tone up, and they don’t even require you to join a gym – you just need a street to walk on and some 10- or 20-pound dumbbells to have at home. Resistance bands are also a great way to tone arms and shoulders. Over the last two weeks, I’ve found that incorporating a thrice-weekly circuit of 30 minutes of yoga, 10 minutes of using a resistance band and 30 minutes on the treadmill have improved my overall mood as well as my fitness. My goal is to add some squats and planks into the routine to target my glutes and core. Additionally, if you have the time and money for a personal trainer, it’s worth the investment. After all, aren’t motivational speakers always saying we should invest in ourselves? Bonus tip: stay positive. Don’t let pictures of fit celebrities and swimwear models get you down. If you want to reach a certain goal, you will. Just follow the above steps and don’t forget to have fun with it! This saying might be a little cliché, but it really is about the journey as opposed to the destination. If the above info prompts you to make some changes in your life, leave a comment and tell me about it! I’m right here with you on your journey to become a healthier, better you. A smile is a powerful tool. It can light up your face, trick your mind into believing that you’re in a good mood, and give you a chance to show off your pearly whites. According to numerous surveys and studies, a genuine, lit-from-within grin on your face can make someone’s day and can even make someone fall in love with you. Smiles are insanely contagious; sometimes we don’t even realize that someone else’s happy or excited expression has put a similar expression on our own faces. I saw this short clip today and wanted to share it with all of you: http://www.youtube.com/watch?v=F-FNZyVzoJA. If you don’t automatically smile at this heartwarming exchange between a professional hockey player and an overjoyed young fan, you must be made of stone! If you’re nerdy like me and want to learn more about smiling, here’s an article from http://www.wired.com that delves into some interesting aspects of it: http://www.wired.com/wiredscience/2011/08/science-behind-smiles/. It explains how to tell if someone’s smile is real or fake, if animals possess the ability to smile, and why it benefits our mental health when we turn our frowns upside down. It also mentions that our tendency to display genuine smiles, as opposed to “social” smiles (which some of us force ourselves to wear in public because we think we’re being scrutinized by those around us), can reveal a lot about our personalities. The article also tells us that women and men have very different perceptions of what a big, genuine smile can signify. Most men are attracted to smiling women because they think it’s a sign of flirtatiousness, whereas many women who see men smile are able to assess not just the authenticity of that smile but also its object of affection, whether it’s a woman, a buddy, a child, or a plate of food. Pretty cool, huh? So, wherever you are in the world, I hope you’re smiling (genuinely!) as you enjoy the winter weather. As for me, I’m off to the Bahamas for a few days – stay tuned for a post about that! (Still working on posts about my May trip to Cuba and September trip to New York City. Have I mentioned that I procrastinate?) Before I sign off, here’s your feel-good quote of the day: “The world is like a mirror; frown at it, and it frowns at you. 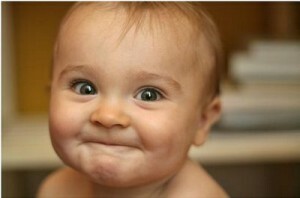 Smile and it smiles, too.” – Herbert Samuels. It’s been quite a while since my last post, and I’m disappointed that I haven’t been keeping up with my blog. My feeble excuse is that I had a busy summer working at the Royal Bank of Canada and that 2nd year at King’s has proved to be very fun but also very hectic. So, I’ve decided that my early New Year’s Resolution is to blog at least 4 times per month. Oh, and to hit the gym more often! As I’ve mentioned before, I love my dance classes with the Dalhousie Dance Society; the range of dance styles that Dal offers is truly amazing. However, my family just booked a trip to Aruba from Dec. 18-25, so I have a month to get in even better shape before the time comes for us to don our swimsuits 24/7. I’m sure you, like me, have made countless promises to yourself to explore your local gym or fitness centre, if for no other reason than to see what all the fuss is about. Last year my roommates and I wanted to take a tour of the King’s gym, but somehow it didn’t happen. I recently did get around to checking it out, and I loved it! Some of you may recall me saying that King’s is tiny – we have a grand total of 4 buildings – but we’ve somehow managed to fit 20 fitness machines, a changeroom, and 2 recovery/yoga rooms into the second floor of one of the buildings. Pretty impressive, right? The room itself is clean and looks brand new; the same goes for the treadmills, stationary bikes, stair climbers, and rowing machines. I spent 30 minutes on a stationary bike blasting some high-energy workout songs alongside 5 other second year students (the emptiness of the room was a definite plus). Needless to say, I plan to use the gym three to four times a week and I hope I can help motivate you to do the same! You can expect a full report about the upcoming trip to Aruba, but in the meantime, check out this article from Fitness Magazine that I came across the other day. It provides 42 nifty tricks for a healthier body and a better mindset: http://m.fitnessmagazine.com/workout/tips/quick-tricks/42-one-minute-better-body-tricks/. I particularly like tips #6: Lunge day and night, #9: Tone during commercials, #21: Think yourself stronger, #24: Strengthen your neck, #28: Open your chest, #39: Tune in to your acupressure points, and #42: Rev up with aromatherapy. Take 60 seconds to try your favourite suggestion from the list and see if it makes a difference in your body and in your general attitude. I’d love to hear some feedback!